As we move ominously towards the start of the European Championships in Poland and Ukraine, it is Roy Hodgson who is trudging around in the afterbirth of Fabio Capello’s England managerial career. Albeit a successful career as England manager, the highest win percentage of any previous employee of the FA, Capello suffered with acceptance from the loyal supporters who follow the national team through thick and thin. The dismal World Cup in South Africa, when he should have been fired, was seemingly the icing on the cake for most fans. The performances improved during qualification, especially against Bulgaria and in the Millennium Stadium against Wales, but there was still lethargy in great abundance in most games. 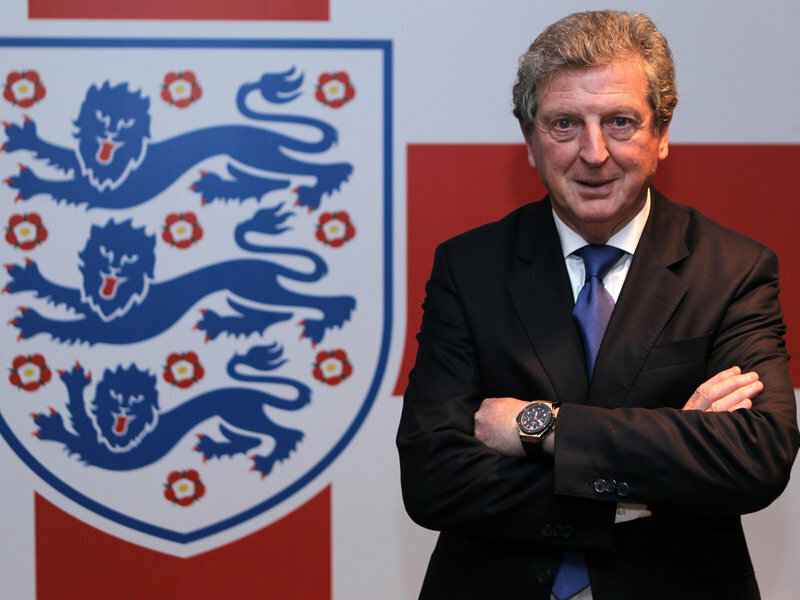 It is Roy’s chance to remove the negative persona assimilated with the national team. His inclusion of Gary Neville into his coaching setup is a clever approach, incorporating a man who has only been out of the game for 18 months and has played on countless occasions with many of the players nominated in his 23 man squad. It provides a link between the workshop and head office, despite his pleasure at climaxing during live television. Hodgson is quite clearly a footballing intellectual and one can only hope that his intense knowledge of European football will stand English football in good stead this summer, distracting attention from Andy Murray during Wimbledon fortnight. As we begin to discuss his selection for the championships it is clear that some form of loyalty has been kept to the players who formed the qualification team, as Roy himself mentioned in the resulting press conference. No qualms or issues over Roy’s choice here. Arguably the simplest decision he could ever make following Ben Foster’s disdain for international football and Scott Carson’s inability to catch a football. There are question marks over Jack Butland, the 20 year old standby who had been on loan in League 2 this year with the ‘galacticos’ of Ben Burgess and Darryl Duffy at Cheltenham Town. Quite easily David Stockdale, Frank Fielding or Scott Loach would have sufficed. Roy’s Choice: Joe Hart, Robert Green and John Ruddy. 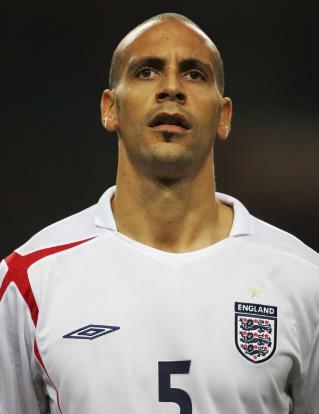 Despite being an England international since 1997, Rio Ferdinand has never competed at a European Championships. The predicament here was always going to be whether to take Rio or John Terry. I’m sure that both could have played together as they are both patriotic professionals but the good of the team has to be put in front of individuals. This is how Hodgson differs from Capello. I imagine Fabio would name both players as he loved the ‘big name’ players England had to offer. It has been described as purely a footballing reason for the omission of Rio but I cannot comprehend that as a reason.Rio has been in fine form this season but the clincher has to be the partnership that Terry and Cahill have been creating at Chelsea. It must be a case of Rio not being first choice so what is the point of risking team morale? Personally I would take them both and start them together as they are the only really accomplished centre backs on the radar at the moment. Potential is one thing, experience is another. The second defensive issue is right back. Not because of a lack of a talent but the one place there is real competition for position. Injuries to Kyle Walker and Chris Smalling loosened the pressure only minimally. Premier League winner Micah Richards, Phil Jones, and Glen Johnson were the three up for adoption with the latter two compromising the successful contestants. The continued mistrust of Micah Richards at international level is baffling, especially when you consider the superlatives linked with Glen Johnson (spot the sarcasm). If fit I think the two injured players would have been picked over Johnson and Jones, but one can only speculate. Roy’s Choice: Leighton Baines, Ashley Cole, Glen Johnson, Phil Jones, Gary Cahill, Joleon Lescott and John Terry. Standby: Phil Jagielka. My Choice: Micah Richards, Phil Jones, Ashley Cole, Leighton Baines, Gary Cahill, Phil Jagielka, Rio Ferdinand, John Terry. Standby: Glen Johnson. With the midfield berths it was a case of six relatively automatic choices plus two others or 3 for Hodgson. Having chosen seven defenders it would have been expected that a fifth striker would have been included but midfield diversity was instead selected. It was always guaranteed that the six of Parker, Gerrard, Lampard, Barry, Young and Walcott would be the forbearers of English resistance in the Ukraine. It is the ‘Mr Versatility’ tag associated with James Milner that has grasped Hodgson’s vision and the rise in prominence of 18 year old Alex Oxlade-Chamberlain. Hodgson discussed the performance of Chamberlain against AC Milan at the Emirates and how it convinced him that the youngster was a necessary inclusion for the summer, claiming the way he dealt with the experienced Massimo Ambrosini and Andrea Pirlo (he’s at Juventus Roy, he didn’t play) was well beyond his years. The Arsenal star believes he will play with no fear in the championships if called upon and he has assets which Theo Walcott does not possess, a footballing brain and the ability to pick a cross. These are similar resources shared with Stewart Downing. The decision I can’t believe in the squad. Tim Howard, the Everton goalkeeper, has more goals and assists than Downing this season. The rejection of Adam Johnson, who has at times been in wonderful form forManchesterCitythis season, has the essence of a forgotten man about him despite his prospective to do something brilliant. The game changing potential of Johnson coupled with Downing’s form would have put him in my squad. A quick side note to Michael Carrick who, according to FA reports, rejected a call up for the squad because he didn’t want to be a bit part player. Not the most patriotic response but it’s hardly surprising when you consider how sparingly he has been used on England duty. I would have started him alongside Parker in midfield as he is the nearest to Paul Scholes we have on offer. Roy’s Choice: Frank Lampard, Steven Gerrard, Gareth Barry, Stewart Downing, James Milner, Theo Walcott, Ashley Young, Scott Parker and Alex Oxlade-Chamberlain. Standby: Jordan Henderson, Adam Johnson. My Choice: Frank Lampard, Steven Gerrard, Scott Parker, Michael Carrick, Theo Walcott, Ashley Young, Alex Oxlade-Chamberlain and Adam Johnson. Standby: Joe Cole, Tom Cleverley. The Wayne Rooney dilemma of 6 months ago after his malicious kick on a Montenegrin defender in the final qualifier has passed without anybody contemplating the idea of not taking him to the Euros. 27 league goals this term is only second to van Persie and 12 goals clear of the next highest Englishman, Grant Holt. A lot of debate has been made over Holt but it is clear that he is simply not good enough. One season in the Premier League is not enough for a player of his age to warrant a first call up. He works hard putting a shift in for the team but so does Danny Welbeck who is severely more talented than the veteran Cumbrian. Welbeck has been in fine form for Manchester United this season and has been selected in almost all over the big games ahead of Chicarito. If Sir Alex has belief in the mental strength of such a young player then it is obvious the youngster is more than adequate enough to be in the mind of the England manager. Darren Bent’s performances for England over the qualification period would have guaranteed a slot in the full squad were it not for rupturing ankle ligaments in February, ruling him out for the rest of the season. This marks the third successive tournament he has missed out on. The only similar forward available to Hodgson was Jermain Defoe. Despite his lack of match time this season, Defoe managed 11 league goals proving once again the goal poaching ability that he is famous for. 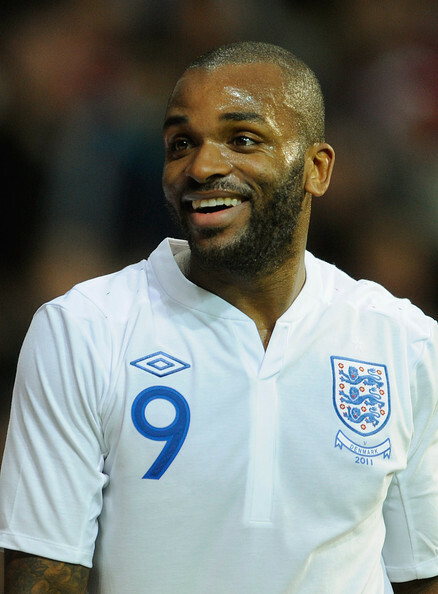 Darren Bent misses out on a third straight England tournament squad. The final pick went to Andy Carroll, whose late season form sprung him back into contention. His performance in the FA cup final was menacing and was it not for a fantastic decision by the linesman; Carroll could have taken the tie into extra time. Many have discussed the omission of Peter Crouch as a decision which could harangue the England manager. Crouch has had a good first season at Stoke but I don’t think it is too bold to say that I expected a lot better from the former Liverpool man. Overall, I believe that Carroll is a player that, on his day, no centre back would want to come up against. He is a big unit, good in the air and at feet, with pace and good link up play; attributes that Crouch doesn’t particularly possess. Personally I believe had Bobby Zamora stayed at Fulham, he would be on the plane ahead of both of these. Similarly to the goalkeeping selection, I believe Hodgson’s choices to be the best options available to him. They cover all the bases and it also leaves speculation for Theo Walcott getting a chance to be the fifth striker. Roy’s Choice: Wayne Rooney, Danny Welbeck, Andy Carroll and Jermain Defoe. Standby: Daniel Sturridge. Overall, it can be argued that the squad chosen for the European Championships is in some way homage to Capello’s regime asEnglandboss. For example, sticking with players who qualified for the tournament suggests that these fringe players, Downing, Defoe, Milner etc are not truly in the team on form but on merit. It is seemingly a last chance saloon for most of the players and instils a vision of overhaul following England’s exit from the tournament and into the next qualifying campaign. One can only hope this is the case. It is tiring as a supporter watching players who are picked in every squad yet cannot string two passes together in an England shirt. In terms of potential in the tournament, the realistic bet is to advance from the group stage. England have had trouble doing this throughout their involvement in the competition with decent squads so to achieve this in 2012 would be as good as a semi final place. Anything less than a quarter final finish will already add strain to Hodgson’s credentials within the media and more importantly the fans.